A horseshoe hangs above the front door of the Project Horseshoe Farm Community Clubhouse in downtown Greensboro. On Main Street in Greensboro, in the shadow of a massive blue water tower alerting visitors that they have reached the Catfish Capital of Alabama, is a compact storefront marked with a large metal horseshoe. This is the Community Clubhouse, headquarters of Project Horseshoe Farm, a grassroots service organization that works to support and inspire vulnerable members of the community, from children to senior adults. The Clubhouse has become a home away from home for dozens of elderly and mentally disabled residents of Hale County. They gather each morning to play cards, exercise, swap stories, drink coffee, and take cooking classes. A few blocks away, at Greensboro Elementary School, where aging window units trundle along to keep the classrooms cool, Project Horseshoe Farm staff members maintain another sanctuary. In the cafeteria, 60 to 70 students choose to stay three hours after school each afternoon to work on math problems and reading assignments with volunteer mentors. At the beginning of the semester, the nursing students are matched with one of 30 partner agencies, in locations stretching from North Birmingham to the heart of central Alabama’s Black Belt, depending on their intended practice specialty and the patient population that most interests them. They work with organizations that serve the homeless, Latino immigrants, patients with HIV, disadvantaged youths, and more. The students’ mission is to find new ways to help. Over the course of the semester, they spend at least 40 hours working with their agencies, and dozens more hours developing curricula and other materials as part of a sustainable project they can leave behind. Shipman, who was a public health nurse for 18 years in and around Alabama’s Black Belt, says she hopes that students get a sense of the obstacles patients face in rural areas—and the pleasures of life in the country. 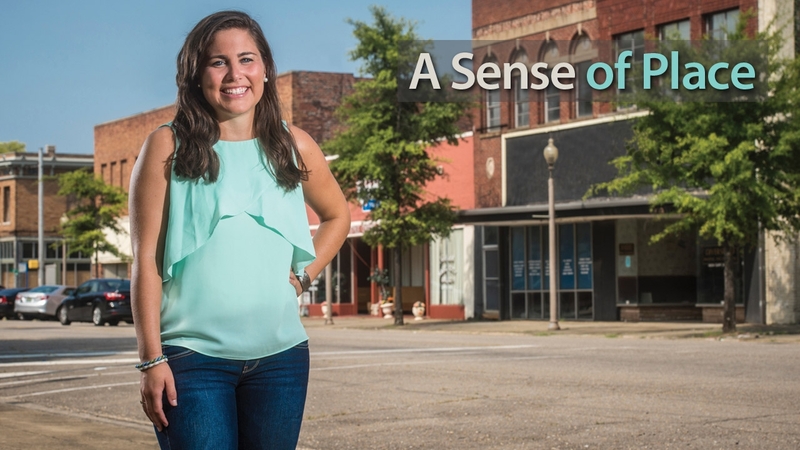 Students who travel to Hale County start off with a tour that fills them in on the region’s history and culture. Just down the street from the Community Clubhouse is a home where Martin Luther King Jr. hid out for a night in March 1968, and the surrounding countryside holds several architectural gems designed by the famous Rural Studio. The UAB students also learn about challenges that local residents face, including sparse jobs and transportation options. “Wherever we go, when the students are here, they go with us,” says Regina Knox, executive director of the West Central Alabama Area Health Education Center (AHEC), which is based in Greensboro. AHEC staff members travel to middle and high schools in a 13-county area, educating students about careers in health care. They also offer continuing education for health-care workers. “Our whole purpose is to encourage students to come back to a rural community and take part in public service, and then to support them once they’re in the workforce,” Knox says. Edwards, who graduated from UAB in April and now works as a registered nurse in Carrollton, Georgia, is modeling that path. She plans to go back to school after getting two years of work experience. “I want to end up with a nurse practitioner degree and work in a rural clinic close to home,” she says. Students in the course working with agencies in urban environments find that, even with amenities of a bigger city, many populations have special needs. Meghan Pattison (pictured at top), a senior from Peachtree City, Georgia, worked with Better Basics, a literacy organization serving elementary school-age students in the city of Fairfield (pictured below), just a few miles west of downtown Birmingham. • Learn more about undergraduate- and graduate-degree programs at the UAB School of Nursing. • Give something and change everything for UAB nursing students.